About the Shop: The salon offers a complete range of hair and beauty services carrying the hallmark of quality and standards as believed by the famous hair stylist Jawed Habib himself. When you walk into the outlet, the ambience reflects the passion, comfort and class. Rest assured, while you drop into the shop planning to get a regular hair-trimming, you will walk-out in style. The salon doesn’t just cut your hair, rather its personalized services helps you in getting a look that matches your personality. With today’s young mass leaving no stones unturned to get noticed these days, Habibs has become the favorite styling zone for the trendy youth. Locate the Shop: The shop is located at Xavier Square, Jaydev Vihar and can be conveniently reached with the given directions. About the Shop: A pioneer of beauty services in the city, the salon offers some of the best beauty treatments to meet people’s varying requirements. Looking good being the call of the hour, you can find the salon always bustling with female populace throughout the day. Conveniently located in the heart of the capital, it stands as one of the oldest and the first L’Oreal club salons in the city. You can get all kinds of beauty and hair styling services at the best possible price in the outlet. Its services include an entire range of facials, waxing treatments, peels to hair styling services and spa as well. You can get your entire head to toe beauty treatment done here at amazing prices! Locate the Shop: The salon is located in Saheed Nagar and you can reach there with the given directions. About the Shop: A revolution in the beauty services, New Leaf is the first of its kind in the state which aims at providing wholesome wellness from head to toe. It is a real treat to the customers opting for its services as it truly redefines rejuvenation and spreads the comfort beyond the pampering sessions. Unlike mere beauty salons, the outlet offers you all that you need to enhance your looks so that you come out looking great. You get the advice of a team of experts and professionals with immense knowledge and a rich industry experience who work to make you look like you have always dreamt of looking. It caters to your cosmetic needs and houses salon, spa, gym, slimming facilities etc. New Leaf comes up with various promotional offers and packages so that the services suit everyone’s budget. Leave your beauty worries to its experts as you get ready for an important occasion, be it weddings, cocktail parties or formal gatherings. Locate the Shop: You can find the store above Capital Ford Showroom, Nayapalli and at Maruti Corner adjacent to Patia Big Bazaar, Patia. About the Shop: Labella Beauty Parlor is one of the oldest and the most popular destinations of the youth offering wedding and party makeovers for both men and women. 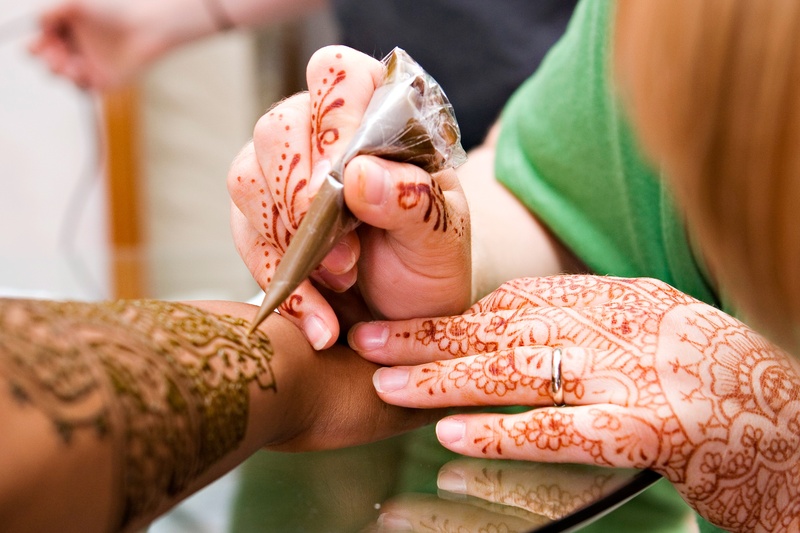 The parlor offers beauty services as well as makeup services for your special occasions. You get value for money service at this beauty parlor. As a specialist in makeup and beauty services, you can trust the experts at Labella to give you that perfect look ranging from simple makeup for attending business meetings to gorgeous party makeup. To beat that stress and flex your muscles, you can also opt for a variety of body massages offered at amazing prices. Rejuvenate your facial skin and rub off the dead cells from your face with beauty facials consisting of fruit and natural products. Locate the Shop: The beauty parlour is located at Press Colony, Unit 3, near Station Square. You can easily reach this place by following the directions.